This hoppy beer (IPA) is blond and organic. 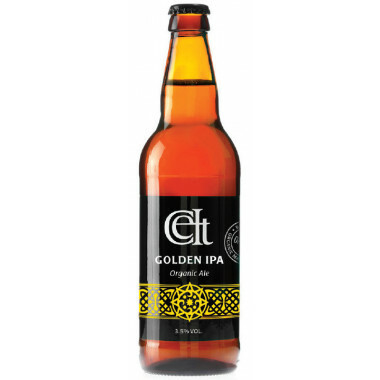 Brewed in Wales, it has flavours of fruit, hops and malt. Celt was one of the first craft beer brands in the UK and one of the first pioneers of the new hop beer scene (IPA). The current range is based on this innovative approach with new flavours and styles. 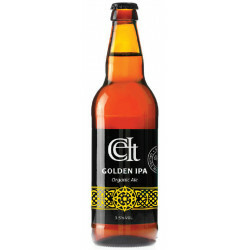 Golden IPA is brewed from organic malts and hops, bringing a malty, fruity and hoppy taste to the palate. Light, grading 3.5%, this beer is perfect to accompany dishes with curry. This beer will go perfectly with seafood or chicken.